Winter still here? Tomato transplants are around the corner! I don’t know about you, but I hope that the winter of 2017/18 is finally winding down. The sun has been shining the last few days, which has nudged the nighttime temperatures up a degree or two from below zero. I finally decided to put on my high-top rain boots in order to get to the back gate in the hopes that Bodie and I could take a walk along the ditch; however, needless to say, I needed thigh-high waders! Bodie didn’t enjoy our attempted excursion either, so we had to call it quits! The next best thing for us to do was to start seeding the tomato transplants that are now on the website for pre-order. Even though I was born and raised here in Montana, one of the most challenging aspects of our winter season is the fact that I really haven’t made friends with the cold again, after living in Hawaii for 12 years. From early spring to late fall, I have been blessed to be able to be outside working in my gardens. Having my feet firmly grounded on the earth and the sun warming my body provides me the opportunity to go into a working/walking meditation. The chatter of my brain quiets and that inner sense of nothingness becomes palpable. I can still get there when sitting on the couch, but it is certainly not as easy. I have been out working in the greenhouse starting the seeds that will be transplanted out into the gardens starting early spring. 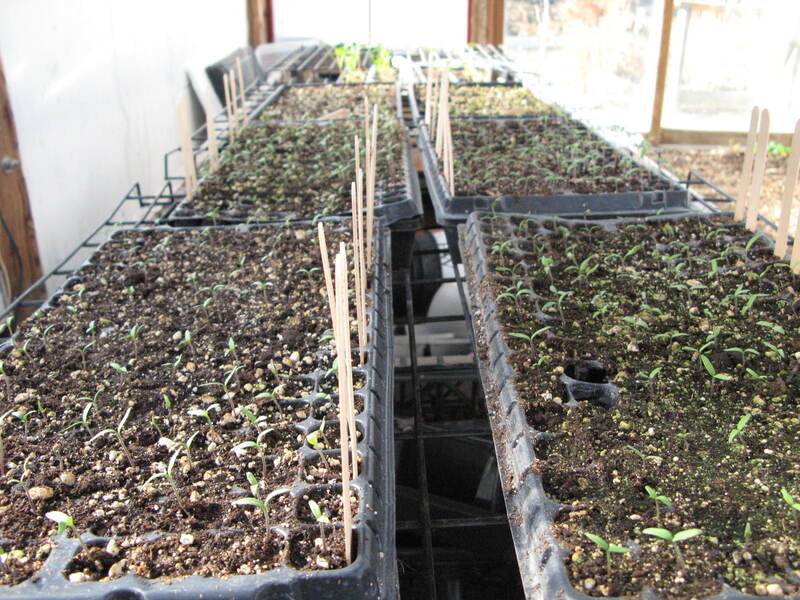 The tomatoes, peppers, mustard greens, broccoli, scallions and onions are already coming up! I’ve planted lots of flowers, too. Edible flowers of violas, nasturtium, calendula, citrus marigold have been a big hit with the local chefs. When the sun in shining it has been over 80 degrees out there! I even had to start removing my layers of jacket and sweater. The feel of potting soil in my hands and the earthy aroma brought a smile to my face! I guess it is true that the simplest things can bring the greatest pleasure. You might think that it is way to early to start seeds, but I am holding the door open for an early spring! Heirloom, organic tomato transplants are now available for sale on my website. The photos and descriptions are already making my mouth water for summer salads and tomato sandwiches. Nothing better than these sweet, juicy homegrown beauties! I can hardly wait! 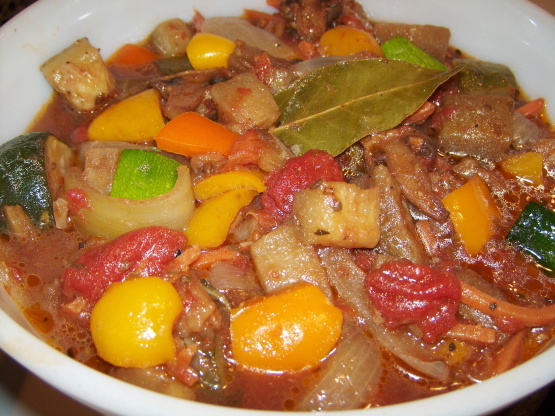 In the meantime, I invite you to enjoy this wintertime comfort food stew. It will warm your body and delight your stomach! Cut sausage into 1/4-inch slices and set aside. In a large saucepan or Dutch oven, bring broth to a boil. Add vegetables, continue to cook for 10 or until vegetables are crisp and tender. In a small bowl, combine water and cornstarch. Stir until smooth. Add to vegetables, continue to cook and stir for 2 or until thickened. Stir in 1/2 cup of cheese and sausage. Spoon mixture into a greased 2-1/2 quart baking dish. In a small bowl, mix corn muffin mix according to package directions. Spoon batter over the surface of vegetable/sausage mixture. Add remaining cheese to batter. Bake at 400°F for 20 to 25 or until corn bread is golden brown. If you have friends or family members whom you think would like to find out about the happenings here at Lady Kate’s Garden, you are welcome to share this blog with them. It’s wet and chilly out there! I had to harvest some things this morning, which I really don’t like to do when the plants are wet. You can easily spread bacterial diseases like powdery mildew from plant to plant when touching them. Some of you have been asking about funny looking leaves on your tomatoes and squash. So here is a picture of what the disease really looks like. If you catch it soon enough there are natural remedies that can be foliar sprayed….like baking soda and water, diluted milk, and if you happen to have a plant duster, any clay like bentonite or a product called Surround can be used. It is too late at this point to do much about it in this cooler Fall weather. But now you know what to watch for next year in your gardens or pots. Here’s some of the goodies you will find in your box this week. Swiss Chard, Scallions, Jalapeno and Cayenne Peppers, Carrots, Eggplant, Summer Squash and tomatoes. The cucumbers are still in abundance, so you will be getting them, too. I hope you are using them in soups, salads and dips and stretching your boundaries a little to use them in some of the recipes I gave you a few weeks ago. Well, I lied! The new seedlings that we planted over the course of the last few weeks were starting to germinate, but some of them did not make it. I guess the hot weather, once again, did it’s number on them. Is it ever going to cool off? It’s already the end of August! I am trying to decide on whether to try again, or if it may already be too late. I do not have a sense about how long the fall season will last. Oh well! The challenges in the garden are nothing like the challenges that people are facing in other parts of Montana with the forest fires, and in Texas with the Hurricane. We are so blessed to be living here in Billings. We have food to eat, water to drink and homes in which to live . We have much to be thankful for! Wendy harvested lots of beautiful carrots this week. Aren’t they something! Harvesting our many crops can be very labor intensive….especially the root crops like carrot, beets and onions. Once they are forked out the soil, they are washed, visually inspected, allowed to dry and then either bunched for our CSA boxes or bagged for bulk sales to our restaurants. We are always amazed at the visual beauty of our veggies! This weeks share will include some of these eggplant, along with the last of the summer lettuce, and more broccoli greens. I hope you have enjoyed the greens. Ben and Tyler at the Fieldhouse have been using the broccoli greens to wrap around fresh fish filet, and their guests have been loving it! More tomatoes for you too, this week, along with Suyo Long Japanese cucumbers, more delicious haricot vert, patty pans, zucchini, and, of course, the herbs. It’s been a week of “hurry and catch up”! As I mentioned in the last newsletter, the plantings that were done a month ago did not germinate. So….we planted all the crops again, and hallelujah, they are all coming up! We are hopefull that fall lasts a long time so there will be abundant harvests of late season crops. There is a plethora of veggies in your share this week. Among them are some TOMATOES! There are still not a huge amount of them, but at least there are enough to get us started! There will also be beets, carrots, scallions, Swiss chard, cucumbers, zucchini, patty pan, a small bunch of broccoli side shoots and basil. I also make what I call a “Roadside Jam” out of these hawthorne berries, along with whatever other berries I have here on the farm…chokecherries, elderberries and Oregon grape. You can find all of these berries out in the wild! 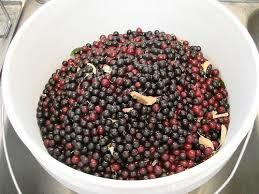 I remember picking wild chokecherries along the country roads with my mom when I was a small child. What fond memories. 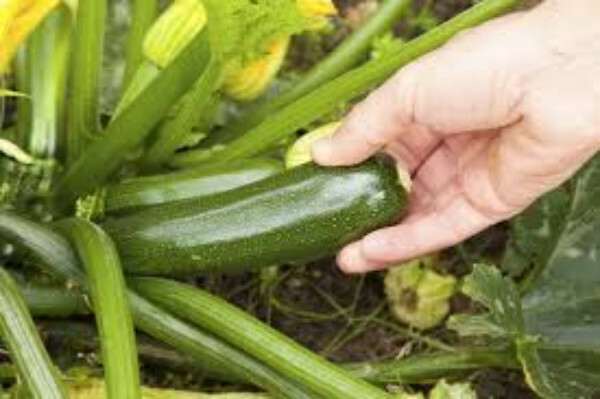 I know you are probably getting a little bored with all of the summer squash and cucumbers. But this is what the garden has been producing in abundance, so we need to take advantage of the bounty, There are many ways to preserve these veggies, and you will most certainly enjoy taking an entree out of the freezer that you made with the summer harvest. I hope you are all enjoying the cooler weather. I know Wendy and I sure are! I look forward to seeing you all tomorrow from 4 to 6 PM. If you are unable to pick up your share, be sure and let me know ahead of time, so that I do not make up your box. I am unable to hold your box for later a later pick up. It’s been such a pleasure working in the garden this past week. We have actually been able to plant new crops of snap peas, lettuce, spinach, Swiss chard, radish, beets, Asian greens, carrots and more. Now all we have to do is pray that the heat doesn’t return to the high 90’s in order to give those little seeds time to germinate. 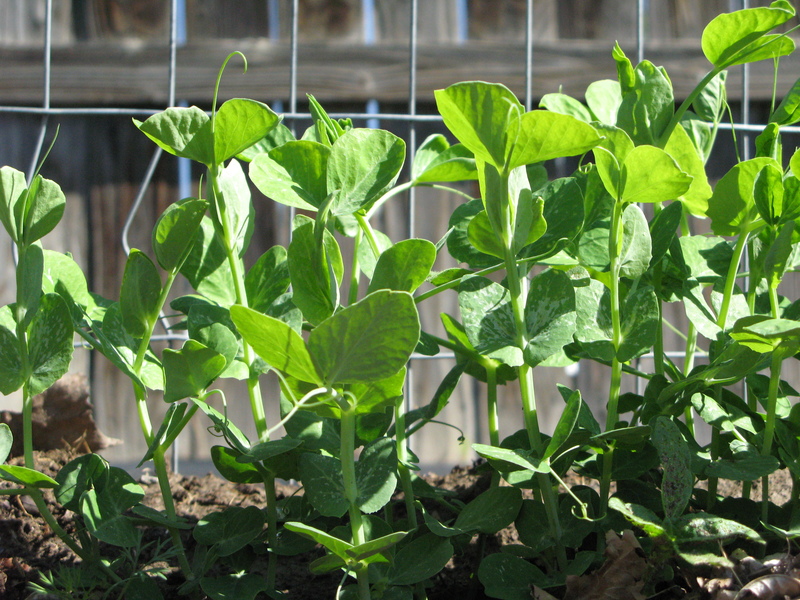 The second plantings of cucumbers and beans are starting to climb their fencing, so it won’t be too long before you will have some more of them in your CSA share. 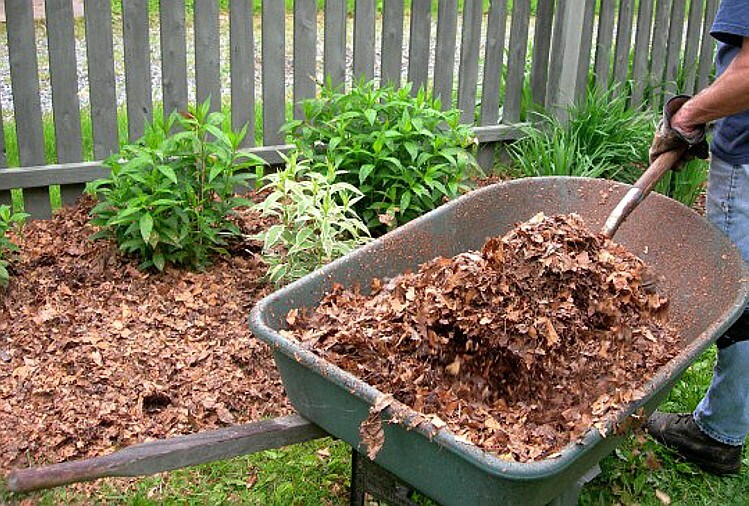 We use lots of leaf mulch this time of year, especially when we are planting new seed beds. The leaves were saved from last year’s tree cleanup, so nothing is wasted. The mulch helps to conserve the moisture in the soil, which is so important on hot sunny days when new crops are coming up. It’s been wild berry picking time! Although I grow these here on the property, they are still a native berry. On top are chokecherries, and below, Oregon grape. 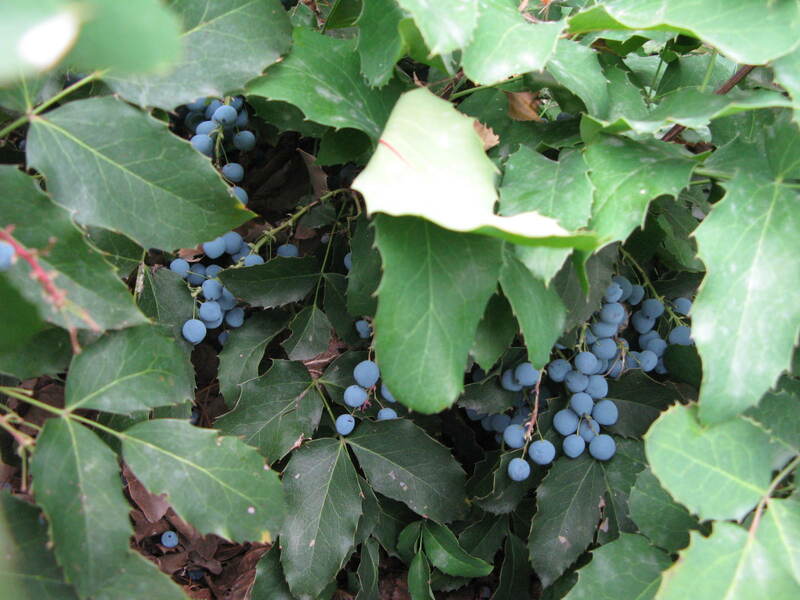 Oregon grape is sometimes referred to as “False Holly” You can see why in this photo. 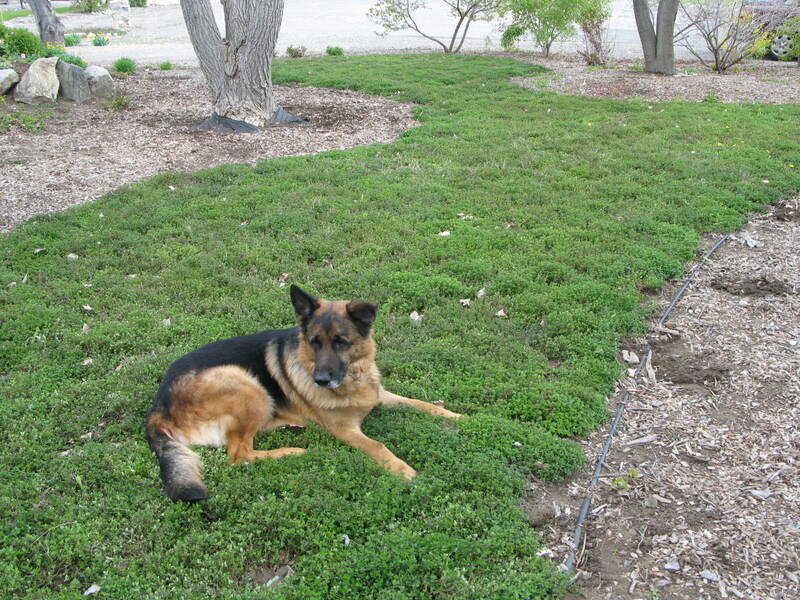 It is a low growing, ground cover like shrub that is evergreen. The berries are challenging to harvest because the leaves are prickly! This is the time of year when I do most of my preserving, canning and playing with the bounty that surrounds me. 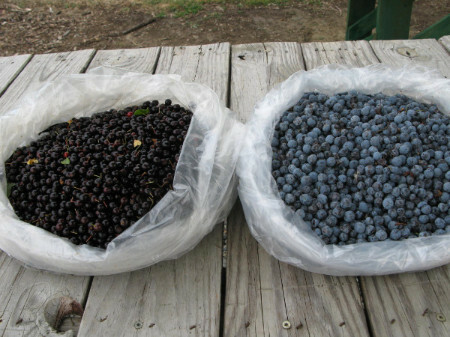 The wild berries will be made into jams, chutney and flavored vinegar. Other fruits and herbs will give their personalities to flavored oils, butters and other experimental concoctions. It’s an alchemical process with such a wonderful assortment of inspirational vegetation. So, this is a good time for you, too, to take advantage of the beautiful organic produce that is grown here in the gardens and preserve some of the goodness for your own eating over the winter. If you have never “put away” produce, I have lots of experience and recipes, so just ask! I encourage you to find ways to become more self sufficient. Right now, there is an over abundance of cucumbers, summer squash and basil that would be wonderful additions to your freezer or pantry. This week’s share will include beets, carrots, scallions, kale, summer squash, shallots, broccoli greens and basil. There will be a few tomatoes again, but it definitely is not a tomato year. I am really disappointed and at a loss! The heat was just too much for them. Peppers are struggling, too, but they are coming slowly. Eggplants are showing promise. What a difference a day makes! It was only in the 70’s today! Wendy and I felt like children with lots and lots of energy to keep working well into the afternoon. The July heat had forced us out of the garden by 1 PM on the days that we worked and by that time were were sweaty, exhausted, dehydrated and quite bitchy if I might say so myself! The challenges we have faced are not like any I have had to deal with in all of my years of farming. I always tell people that I fly by the seat of my pants most of the time, but that has been exceptionally true this year. Just keeping everything watered has been a full time job. We tried to plant new seeds of the lettuces, radish and other greens and they didn’t even sprout. What a waste of seeds! The tomatoes are full of flowers with a few fruits set, but they are not ripening. I have talked to other growers around the area and everyone is having the same problem. I think it is just too darn hot! I am thankful that at least the summer squash and cucumbers are producing! Today, Wendy and I took advantage of the cool temps and bravely transplanted the broccoli, cauliflower and cabbages that were started awhile back. I had planned to get them into the garden sooner, but I did not want them to succumb to the heat. I hope we have a nice long fall, so that we can once again enjoy these cooler weather veggies. Keep your fingers crossed! It’s chokecherry picking time and my next door neighbor has a huge shrub that she invited me to pick as she never uses nor wants them. So far I have harvest over 35 pounds. Some of them went to the Fieldhouse, some up to Quality Food Distributing in Bozeman and some I will make into a lovely fruit vinegar. I made some last year and it was a huge hit! I have a few pounds left and there are more that I can get, so if you would like some let me know. Your share this week will include the last of the beautiful broccoli, along with carrots, beets, a selection of summer squashes, swiss chard, slicing cucumbers, scallions, Genovese and Tulsi basils. Pick up your share between 4 and 6 PM and be sure and bring your shopping bags of boxes. I think it is supposed to be cooler again so it might actually be more pleasant to hang out visit! We have zucchini, which means that summer is really here! The cucumbers are now just beginning, too, so from now on there will be a plethora of both. Just remember this when you start complaining that you are getting tired of eating them, because in the deep of winter, you will be missing their wonderful taste! There are not too many things things in the garden that can handle this heat. Even the tomatoes, peppers and eggplants aren’t sure if they want to set fruit. We are starting early each day and harvesting before it gets too hot. We began seeding our fall crops this week. That means that making sure the seed beds stay good and wet is a priority. Seeds are typically planted shallow and the soil will dry out quickly in this heat. We always use a light mulch over the new seed beds to retain moisture and keep the soil cool, but it is a challenge with daytime temps well into the 90’s. Your share this week is another bounty of goodness. The last of the tender leaf lettuce, cabbage, beets, rainbow chard, braising mix (all cut up and ready to wash), scallion, dragon radish, haricot vert and basil. I have some wonderful recipes listed below using some of the produce, so let’s get cooking! First, cook the polenta which will take around 30-40 minutes. Of course, before serving, add butter and Parmesan to the pot and then taste it, and add more butter and Parmesan. Heat a large sauté pan over medium high heat, add oil, wait 30 seconds and add onions, chard stems, pepper flakes and garlic. Cook/sauté until they begin to color and the chard stems become tender, but still crunchy. Next, add the greens, lower the heat to medium and cover pan with lid and allow greens to cook for about 3-5 minutes. Taste, season with salt and pepper and serve over creamy polenta. Drizzle a little good quality olive oil over the dish and top with shaved or grated cheese. Don’t be put off by the number of steps. The dressing can be made a few days ahead. This salad is wide open to adaptations and a great vehicle for using up leftovers or odds and ends. 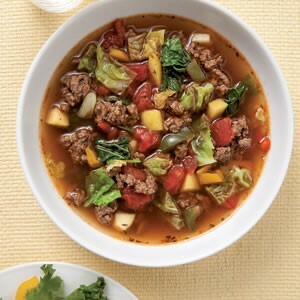 Take the recipe and run with it, using whatever vegetables and cooked meats you have on hand. Though it changes the whole concept, try substituting hot freshly cooked rice for the noodles. Bring a large pot of water to a boil. Add the rice noodles, and cook for 4 to 5 minutes, until tender but not mushy. Immediately drain the noodles into a colander, and rinse them well with cold water. Lay out a clean kitchen towel on the countertop, shake the colander to drain away excess water, and then spread the cooked noodles on the towel to drain further. I will see you all tomorrow from 4 to 6 for your share pick up. I thank you all again for your support of Kate’s Garden. It really means allot to me and even though it has been so hot this season, I am still enjoying being able to provide vital nutritious food for you and your families. Blessings to you all! The garden is ever changing with all of the different weather patterns we have been experiencing. Some days we start off wearing our sweat shirts and boots, and others, sleeveless shirts, shorts and sandals. It’s always a guessing game. I often wonder what the plants are thinking? Should we come out and show our stuff, or shall we hide and shiver? We have had a busy week, as usual, and the restaurant sales are starting to pick up. Wendy and I have spent the last few days just harvesting and packaging. We are done getting everything ready for the CSA pickup tomorrow and here is a list of some of the things you will be receiving. Take advantage of the selection and abundance of greens, as there won’t be much more for awhile. The weather is getting too hot for them. You can even cook with the radish greens. There will be more coming in the fall when it is cooler. Now its time to start planting some seed again…more beans, beets, lettuce, cabbage, broccoli and cauliflower. All of these will be either direct seeded into the garden or started in seeding trays in the greenhouse. We started harvesting some of the lavender this week. It is so gorgeous and fragrant! We are taking orders for these beauties now. 100 stem bundles sell for $15. They keep well and can be used in culinary delights as well as crafts. Hang a few sprigs in your closet and put some in your lingerie and woolen drawers to add fragrance and moth protection. I am including a recipe for you to use those greens! I know some of you might be intimidated by them, but once you try them, you are going to love how adaptable they are. I have lots of suggestions, so just ask! 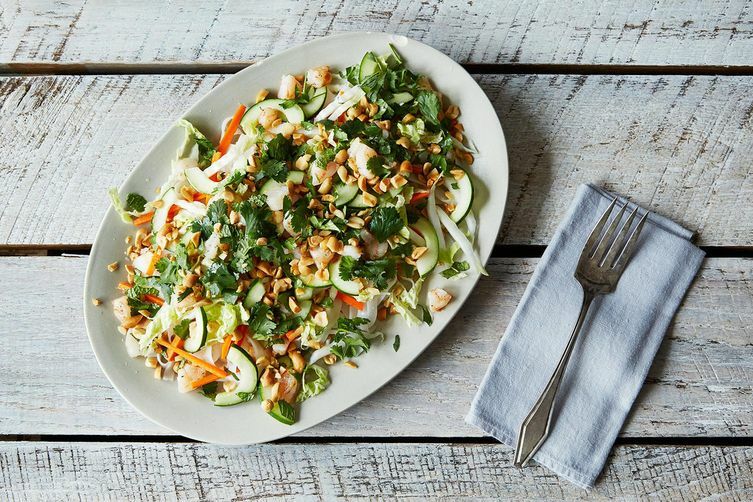 It might look like a lot when the greens are raw, but add them all anyway. They’ll quickly wilt down to a silky texture. 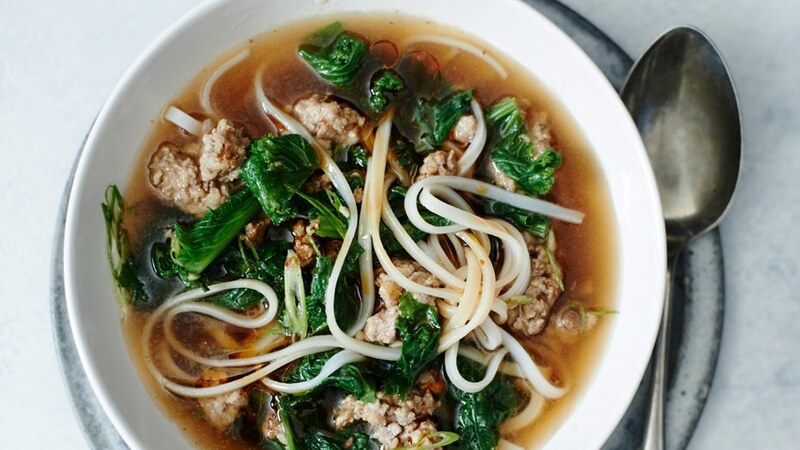 Mix pork, garlic, ginger, Sichuan peppercorns, red pepper flakes, and cumin in a medium bowl. Heat oil in a large pot over medium heat. Add pork mixture; season with salt and pepper and cook, stirring and breaking up with a spoon, until browned and cooked through, 8–10 minutes. Add broth and bring to a boil; reduce heat and simmer until flavors meld, 8–10 minutes. Add mustard greens, scallions, soy sauce, and fish sauce and cook, stirring occasionally, until greens are tender, 5–8 minutes; season with salt and black pepper. Meanwhile, cook noodles according to package directions; drain. Divide noodles among bowls and ladle soup over. 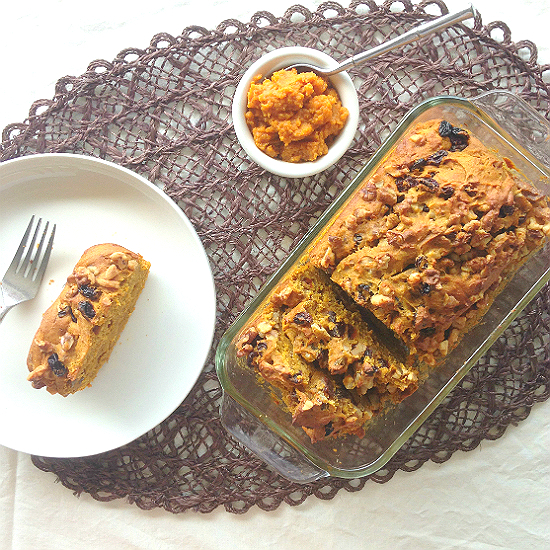 Serve with parsnips or any root vegetable accompanied by a green salad. Preheat oven to 400 degrees. In a food processor pulse the pistachios and lavender until all nuts are broken up but not powdered. Season lamb with salt and pepper. Heat a heavy gauge or cast iron pan to medium high. Add enough oil to coat pan well. Add chops and sear well, turning once. Set aside. In a small saucepan heat honey just to warm. Dredge each chop in honey then in lavender/pistachio mixture. Place on sheet pan and finish cooking in oven for 10 to 12 mins. Let rest 5 minutes for chops or 10 mins for rack before carving. Serves 4. For those of you who will be coming for the first time tomorrow, pick up time for your CSA is from 4 to 6 PM. The gate will be open, so walk down the gravel driveway to the shop. Be sure and bring your cooler, box or bags to place your share in to take home. We will be waiting for you. The address is 2055 Andromeda Ln. Call if you need directions. See you soon! After months of seed starting, transplanting, preparing and weeding, the garden is starting to strut her stuff! It has been a little challenging keeping up with Mother Nature’s whims, but things are looking quite nice out there. I will have organic, free range eggs available this year. My friend Marlene, who lives on Independent Lane, has the best eggs I have ever tasted. She takes such good care of her girls. The eggs will sell for $4 per dozen. I will have 10-12 dozen the first week to see how they go. I don’t want her to bring more than I can sell for her. You can always call or email me and let me know if you want me to hold some for you, otherwise it will be first come, first serve! I am excited to tell you that Bonnie Martinell from Boja Farms in Bridger is offering fruit, garlic and winter squash shares through Kate’s Garden as an additional service to you! I know how challenging it is to find organic fruit and produce that I may not grow, or grow enough of for preserving or storing for the winter. It is so important that small producers like Bonnie and I are allowed to continue doing what we do! For those of you who purchased full shares, you will come every Thursday until the final share date of October 5th. I have divided the half share group into two parts, and some of you will pick up the first week, and the others on the second week. From then on, you will come every other week for the duration of the season. This makes it easier for me, as I will have the same # of boxes to prepare every week. Bodie and I are anxiously awaiting seeing some of our past subscribers and greeting our new members! Your CSA full share subscription will be ready for pickup this week on Thursday between the hours of 4pm and 6pm at Kate’s Garden in Billings Heights (2055 Andromeda Ln). The gate will be open for you, so just walk down the gravel driveway. Be sure to bring your boxes, bags, or coolers to place your produce in. I welcome your quart and larger clamshells, grape sacks, egg crates, and items that you would normally throw away, as I can use them for packaging produce. No take-out food containers, please. If you have questions about what I can use, just ask. I don’t want to be a recycling business, but some of these items come in handy and then they are not being put into the landfill! We’ve got cucumbers, greens, broccoli, carrots, peas, onions, radishes, strawberries, and more. Every bed is full! 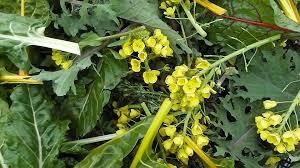 We’ve even started harvesting some of the lettuce and mustard greens already for our restarurant sales. By the end of June the plants will be so big you won’t even be able to see the ground. Springtime is hard work, but we are full of anticipation. There’s nothing like being so connected to your food, you are literally watching it grow. Congratulations! You are all officially part of the Kate’s Garden 2017 CSA. I look forward to getting to know each of you better this summer – and for those of you who are new subscribers, meeting you for the first time. If you haven’t made your final payment yet, remember to please do so by Monday, May 1. This newsletter is the first of many you’ll receive throughout through the CSA season. I like to keep my clients in the know about what’s going on the garden. Last week we finished transplanting many of our cool-weather crops: scallions, onions, spinach, lettuce, kale, mustards, tatsoi, sugar snap peas, and beets. We also seeded carrots and radishes. You can look forward to getting these veggies during the first few weeks of the garden season. I’m also growing pea shoots for the first time ever this year for Kalvin, owner and executive chef at J P Kitchen. If all goes well, the CSA clients might could get some pea shoots too! If you’ve been looking around for local eggs, I am trying to have some here this summer from Marlene Wildin, a good friend of mine. Depending on how many her chickens produce, they’ll be available to buy for $4 a dozen each week when you pick up your CSA. I’m always looking for ways to use my garden to strengthen the community, and providing a space for other producers to sell their products is one way I live that value. I want to continue to provide other things I don’t grow to my CSA clients later down the road as well, like potatoes, garlic, apples and other fruits, which will all come from local producers. One final, important note: When you pick up your CSA, one thing I ask of all my clients is to bring recycled containers. Start saving your plastic clam shells, like strawberry or tomato containers (no messy-food containers please). Grape pouches or other bags with zip ties are great for packaging produce too. I also use wine bottles around the garden to cover posts that stick out of the ground, so save those if you have them! The Earth gives so much to us, and it’s important that we give back to the Earth. Let’s take initiative and work together to keep trash out of the landfill. So far, season 2017 is promising to be a good one. I’m looking forward to what’s to come, and as always, thank you for your support of Kate’s Garden! The growing season is getting closer and closer, and it shows! 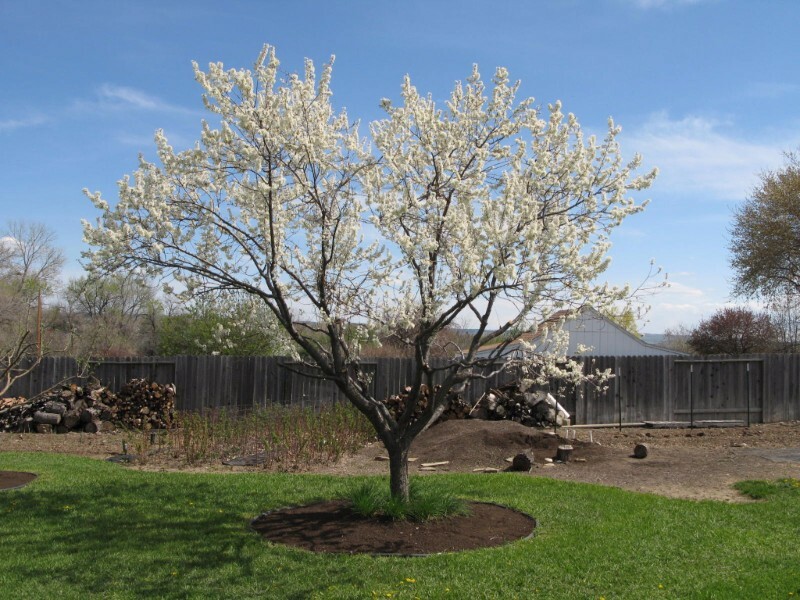 This month I pruned all of the fruit trees and sprayed them with dormant oil spray, a natural insecticide, and liquid seaweed, a natural fertilizer. We always try to spray before the first buds break to catch the bugs while they’re hibernating. The greenhouse is also full of seedlings ready to be transplanted, and just last week I started outside with some pink lettuce and ruby streaks. These little plants are what will eventually be in your CSA. Don’t worry, they’re receiving plenty of tender love and care! I want to thank everyone who has signed up for a CSA so far. 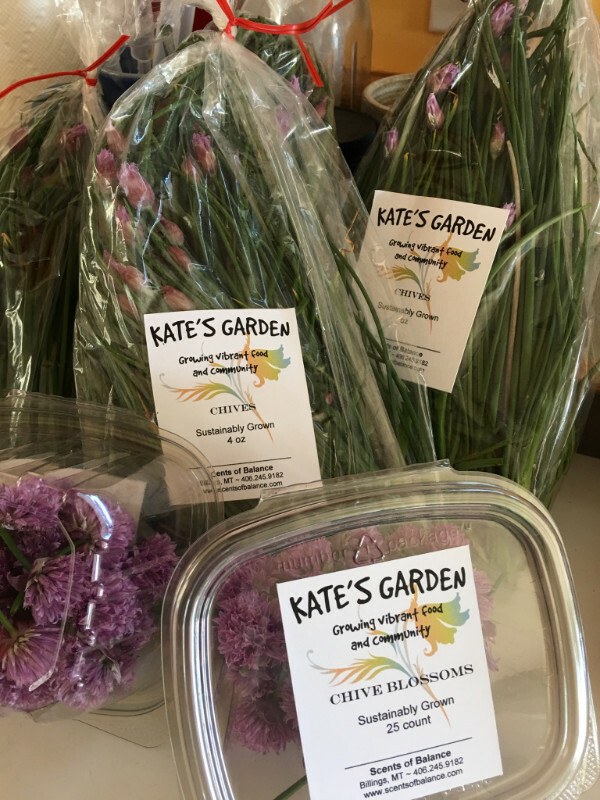 When you buy from Kate’s Garden, not only are you supporting a small farmer, but you are helping bring Eastern Montana’s local food system back to life. So far I’ve sold 11 half shares and 4 full shares. I’m almost to my goal of 20, but I still have a ways to go. If you’re considering purchasing a share, act quickly – I need to know how many subscribers to grow for, and I’m starting seeds now! Finally, I wanted to update you on the progress I’ve made getting my produce into local restaurants. Already, eight different restaurants in Billings have decided to source from Kate’s Garden: Lilac, The Fieldhouse, Walker’s, Juliano’s, J P Kitchen, Ember Cooking Company, Last Chance Pub & Cider Mill, and Seva Kitchen. Cooperation between restaurants and farmers is a huge step to building a stronger local food culture, and I’m so grateful to have this kind of support. You, too, can continue to support me by patronizing these restaurants. Let’s show them how grateful we are that they chose Kate’s Garden over Sysco! It’s been a busy year, and this summer promises even more potential for us. I’ve decided to do a couple things in 2017 I’ve never done before. I’ve hired on a full-time intern, and together we’ll be participating in the Yellowstone Valley Farmers’ Market. Look out for my May newsletter for more updates on these exciting new changes. There’s been a whirlwind of activity here in Kate’s Garden since my last newsletter. I’m am finally feeling like I can come up for air! I feel blessed to have found two wonderful young women, Raechl and Sherry, to help me this season and we have been working around the crazy weather as best as possible. The transplants that were started in the greenhouse during the winter months are now outside firmly planted in the ground. The majority of direct seeding into the garden beds is done with the exception of some more carrots and I will be starting new seeds in the greenhouse for second plantings of cabbage, cauliflower, broccoli and scallions for fall harvest. The timing for seeding,( whether that be in the greenhouse or outside in the garden), is so important when you are planning production for the CSA. It’s not like a home garden where you plant once and eat what grows when it is ready. In a production garden you must make sure that you always have certain crops that grow fast always available, like radishes and greens for instance. So you are re-seeding every few weeks for a continuous supply. We call that succession planting. Some plants like the greens and brassicas do not do well in the heat of summer, so you must get those crops in the ground early in the spring so they are ready before the heat comes on, and then there are the tomatoes, peppers, eggplants and squash that thrive in the heat. Second plantings of beets, kale, spinach and other greens usually go in now, as the first plantings have been harvested for my wholesale accounts or will be ready soon for the beginning weeks of the CSA. It was so warm in April that those heat loving plants that were in the greenhouse grew rapidly and were ready to put outside way too early. I had to get them in the ground so they have been just sitting there not doing much because of the temperature fluctuations and the cool nights. Every year in the garden is an adventure! You just think you finally kinda know what you are doing as a grower and then Mother Nature throws you a curve ball and has a good laugh on you! I am constantly challenged and always learning. The majority of culinary herbs are harvested in the Spring and early Summer. 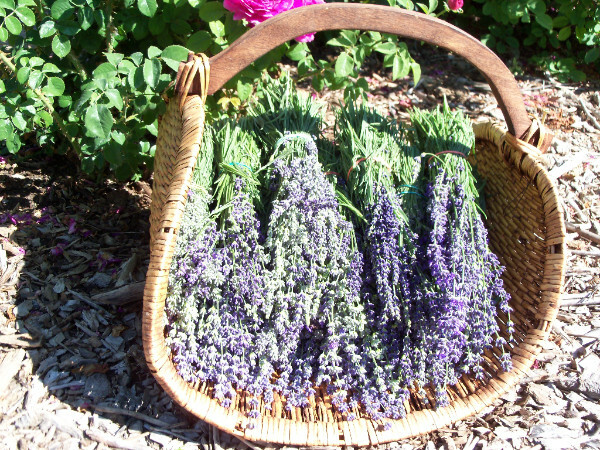 The essential oils in the plants are at their highest in the cool of the mornings and before the plants flower. So, we are out in the gardens at that time harvesting. We have been sending lots of herbs to the restaurants,because the chefs here in Billings and Bozeman use them. It is great to be able to find people who appreciate them and it brings in extra income and gives me such a sense of support right here in our own community. There are lots of chive blossoms right now, so if you happen to have them growing in your own gardens, here is a recipe from my website for making chive blossom vinegar that is delightful in salad dressings and splashed over poultry and fish. 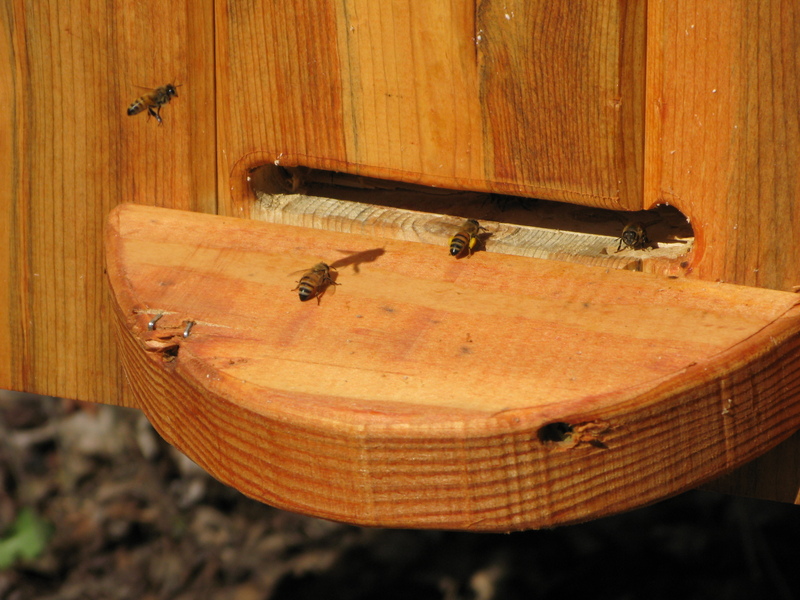 The beehive that my friend, Tony Seitz, installed last month is already humming! He is building hand crafted chicken coops and beehives and they are exquisite. The honey bees are returning to the hive heavy with yellow pollen collected on their hind legs which will help feed the queen and create a thriving hive. There is a plethora of flowering plants in the gardens right now, as the roses, peonies and poppies are all blooming. The bees are happy and busy! I sometimes find it challenging not to worry and stress myself out with anxiety over the gardens. I beat myself up thinking that the they are not perfect, not producing as I expect, and there are always things that go wrong. I don’t want to disappoint my clients and want them to be happy with the food and energy that is produced here and have wonderful experiences with everything that Kate’s Garden has to offer. But this morning, as I sat outside in my daily meditation, I realized that everything is perfect just the way it is. Just the experience of being blessed with the beauty the surrounds me and being able to do what I love to do, is enough….I am enough! We are all perfection and enough! Being in gratitude for everything that life brings us evokes a sense of peace. We are worthy and deserving. It is a discipline that we must practice in every moment. What is that song? No worries! Be Happy! The snap peas are starting to climb! That is usually an indication that the CSA will be beginning soon. June 23rd will be the first pick up day. You can come between 4 and 6 PM. Be sure and bring a box, cooler or bags to carry your produce home, as I do not provide boxes. The gate will be open, so just walk down the gravel driveway to the shop. 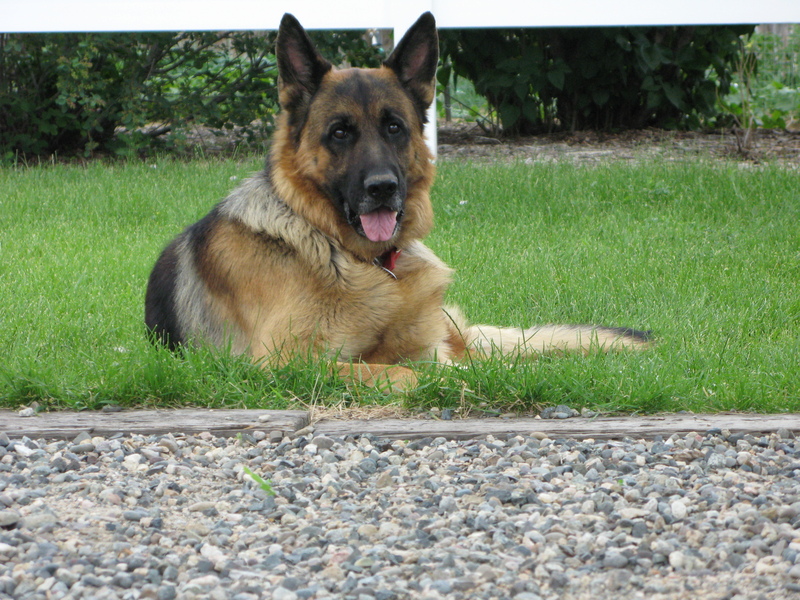 You will be greeted by my German Shepherd, Bodie, who can sometimes be boisterous, but a big friendly baby! I am so happy that the majority of this year’s subscribers purchased full shares, so that I don’t have to figure out who picks up which week. It can sometimes be a little confusing. I will be in touch by email with the half share subscribers to let you know when your first pick up day will be. 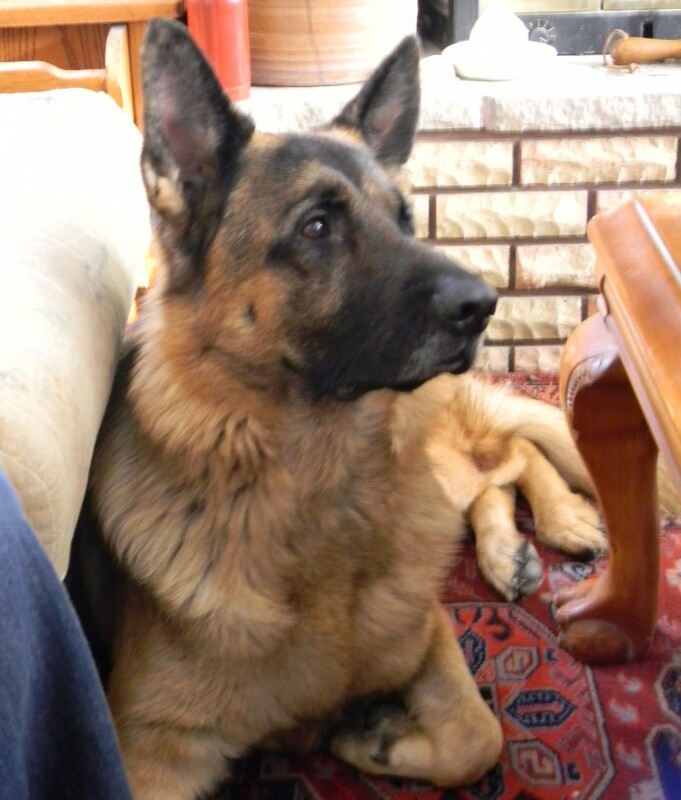 Bodie and I are looking forward to meeting you here in the gardens. You are welcome to come by for a visit anytime, just let me know when you are coming. You don’t have to wait until the CSA starts. The gardens are in a constant stage of change so it is always so beautiful to see. I will be in touch again in a couple of weeks! Before I close, I wanted to mention that there is a pre-buy of Colorado peaches being offered as a fundraiser for the Shepherd-Warrior Martial Arts Scholarship Program for at-Risk & Underprivileged Kids. I have purchased organic peaches from them for serveral years now and have never been disappointed. They come in ripe, juicy and ready to eat or preserve. 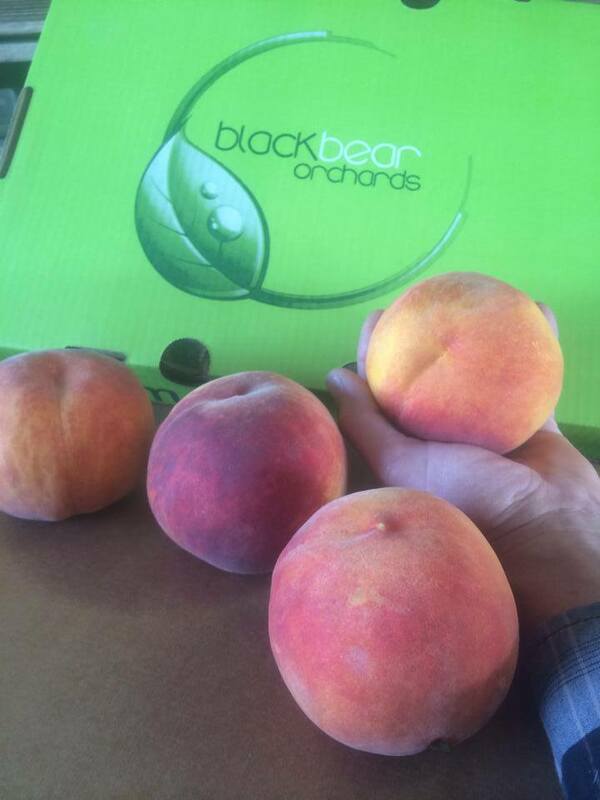 It’s always a challenge finding organic fruit….especially peaches. Coming in Early to Mid August 2016! Welcome to my first newsletter for 2016! I’ve missed seeing friends and clients come to visit the gardens these last few months. Bodie has been bored to death, too, since he hasn’t been able to welcome everyone with his rowdy hello. Every year by the end of the garden season, I swear I am going to quit farming! However, when the sun starts to shine again and the days begin to lengthen, I am bitten by the bug! It’s in my blood and I am on a mission to grow luscious vibrant food, educate others on the importance of eating well, and do everything humanly possible to pass on to my grandchildren a sustainable environment. It seems winter is already winding down. It’s hard to believe that it’s only February, but here we are with bare earth showing her face and yearning for some moisture to quench her thirst. I know my skin is feeling the same way, too! I hope we receive some more heavy wet snow, or if we are going to have an early Spring, which is what the Farmers Almanac and the Groundhog say, we at least have lots of spring rain. I have been trying to get outside to start pruning my fruit trees and clean up the perennial beds, but the wind has been howling. Makes it a little challenging to say the least, and it fluffs my aura to the point that my brain gets scrambled! Will continue to try, but I have lots more seeding to do in the greenhouse, so that should keep me inside until the weather shifts. My “go-to, jack of all trades” friend, John, helped me install three new T5 light fixtures in the greenhouse so I can get the seedlings started more quickly. 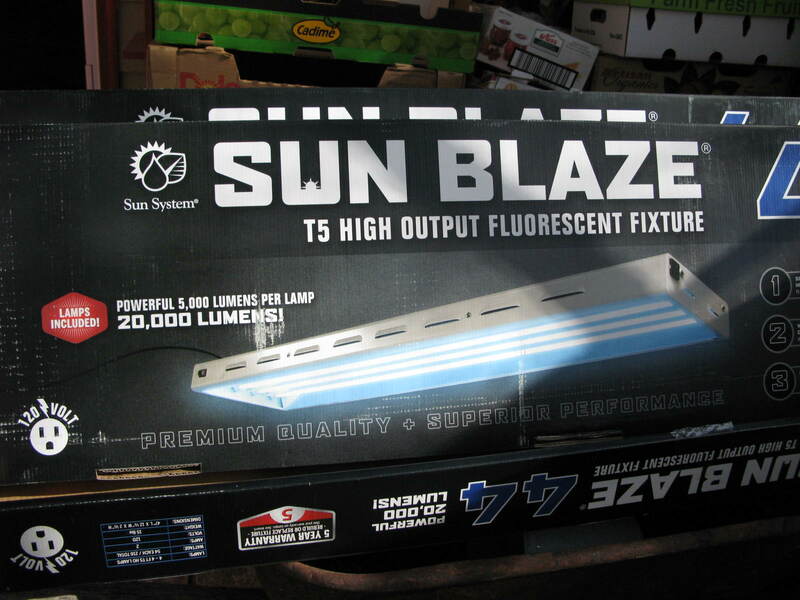 They cost a pretty penny but put out way more light than the old florescent fixtures that I have been using. Hopefully they will be worth it! Seed catalogs have been piled up all over the house for months now, orders have been placed and delivered and I am already starting seeds in the greenhouse. Just this past week I planted 300 organic heirloom tomatoes, some for the gardens here and the rest for the Good Earth Market. They will begin accepting pre-orders for these plants at the store at the the end of February and you will be able to pick them up the beginning of May. So, if you are wanting to plant some in your own garden, stop by the store to place an order. I updated my website with all of the new information on Kate’s Garden’s 2016 CSA. I really wrestled with the pricing this year. After talking to my accountant at length and being told I can’t continue to do this any longer without making a profit, I made the decision to put my prices back up to where they were two years ago. This will hopefully allow me to hire more help, purchase some much needed equipment, and pay myself. My only help in the gardens for the last couple of years has been Barbara, and we are both in our 70s! It’s my hope you will continue to value the importance of supporting Kate’s Garden. Not only are we working together to build a strong community but the impact of eating fresh organic food on our health and well-being is vital! When you serve your families fresh organic veggies and herbs grown here in my garden, you can be confident that the land, birds, insects, and, yes, even the weeds have been blessed and honored for their role in serving the gardens. There is a symbiotic relationship between all of these energies and I continue to learn to work with them in creating a chaotic, wild natural beauty, and luscious-tasting, vibrantly-healthy food. It is so much fun! The food that is grown this way just tastes so darn good! This is the time of year when financial expenditures are heavy for us farmers. We purchase new tools, equipment, seeds, soil amendments, sharpen tools and service power equipment so that everything is ready for the new season. That’s why it is so important to make sure our CSA’s are marketed well and the deposits and payments come in early. We also need to determine how much we should grow of each crop. How many CSA subscribers will we have? My transplants are normally started in the greenhouse beginning early February because it is not financially feasible to purchase them and it is also impossible to find organic, heirloom plants, which is what I grow. If I don’t have a pretty good idea of how many CSA subscribers and wholesale clients I will be growing for, it is difficult to plan production. So, you can see the importance of signing up early! There is always a little “flying by the seat of your pants” going on, but some semblance of order makes it a lot easier. I’m also looking for individuals to help in the garden this season. If you enjoy being out in Mother Nature and playing in the dirt, I would love to share her gifts with you. It’s always nice to have people around who have gardening experience, but if you are willing to work hard and are anxious to learn, I am sure we can make some kind of arrangement so that we each get our needs met. Call me at 406-245-9182 and we can discuss it further. This is all for now, but I invite you to join me this year in reaping the bounty of fresh, organic, local veggies by signing up soon for the 2016 Kate’s Garden CSA season. I encourage you to forward this newsletter on to your family and friends, too! If you have questions, please give me a shout or you’re always welcome to come by to see the greenhouse and gardens. The final week for the CSA half shares is here. The following subscribers will pick up their last box today, Thursday the 22nd. Susan Baak, Jessie Browning, Annika Charter Williams, Steve Charter, David Duke, Pamela Gustafson, James Haney, Halcyon LaPoint, Paula & Tom Larsen, Vanessa McNeill, Nanette Kuhl. If you cannot be here, please let me know ahead of time. Your share this week will include red cabbage, beautiful peppers, beets, dry onions, leaf lettuce, swiss chard, eggplant, French pumpkin (Galeaux de Parisienne), winter squash (several choices) cherry tomatoes, heirloom tomatoes, and a few cucumbers and summer squash. Barb and I will be making sauerkraut today, too, with the Late Dutch White cabbages that are still out in the gardens. If any of you are wanting to make kraut or cabbage rolls this is the best cabbage to use. These cabbages will be available to purchase over the next week or so as well as the late plantings of lettuces and oriental greens. I have to harvest them before it get really cold. I also have an abundant supply of eggplant and several varieties of peppers, from mild to hot, if you are wanting to make conserves, relishes, or casseroles to freeze. Stuffed peppers anyone? I am honored and excited to have been invited to provide my garden veggies for this upcoming harvest dinner at The Fieldhouse. 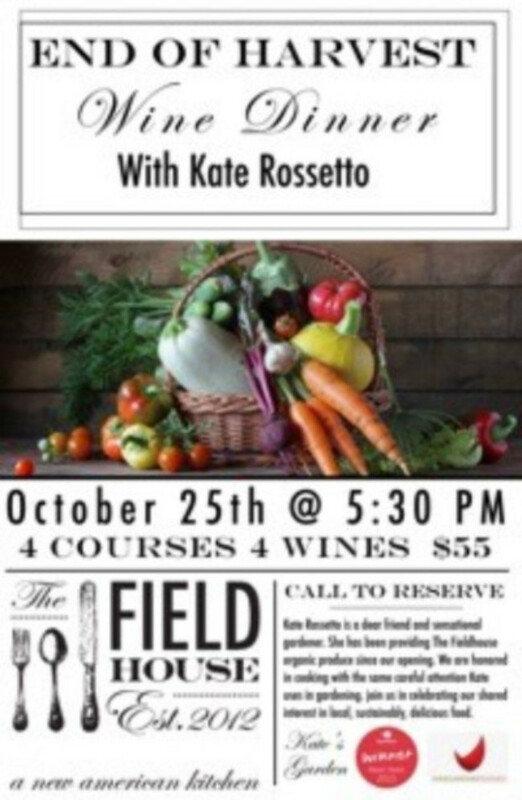 ‘http://www.thefieldhousemt.com/#!home/mainPage The food and wine will be sensational. I might even get to help out in the kitchen! You all know how I love to cook. Won’t you join us and show your support for a local restaurant that is doing it right! I will be getting the garden ready for next year over the next few weeks. Just brought in 9 yards of compost and will be hauling sheep manure from Barb’s farm. The manure and compost along with dried leaves, grass clippings and feather meal will be layered over each bed and planting area and then lightly tilled in. The 4 compost bins are filled to the tops with all of the garden waste that we have cleaned out of the beds. They will slowly breakdown over the winter. Once everything is done, I will be spending time getting my house back in order from the summer neglect, planning next years garden and maybe find time to read some good books! My body is needing a break from all of the heavy garden work! I will be sending out the information on next year’s CSA sometime after the first of the year. I hope you will be joining us again. I am always interested in your feedback regarding your experience with the CSA. Not everyone is suited for the CSA business model. It works for some…and not for others. Your input will help me determine what needs to be improved and the ways to make the CSA work better for it’s members. Constructive critique is always good! I am including some recipes using some of the veggies in your final box. Step 2: Combine all dry ingredients in a mixing bowl. Combine flour, salt, baking powder, baking soda and cinnamon together. Step 3: In a separate bowl mix together eggs, sugar and oil. Then slowly add flour mixture until all ingredients are thoroughly mixed together. Lastly, stir in raisins and walnuts. Step 4: Bake at 350 degrees for 55 minutes to an hour. Let cool. Then slice and serve. In a medium heavy pot, heat 1 tbsp of oil. Sauté the chopped onions until golden. Now add the meat and cook on medium-high heat, stirring occasionally, until deeply browned. Season with salt, pepper, allspice and garlic powder. Stir in the chickpeas and cook briefly. To the same pot, now add the parsley, rice, paprika and tomato sauce; stir to combine. Add the water and bring to a high simmer until liquid has reduced by one half. Turn the heat to low. Cover and cook for 15-20 minutes or until the rice is fully cooked and no longer hard nor too chewy. While the rice is cooking, heat a gas grill to medium-high. Grill the bell peppers for 10-15 minutes, covered. Be sure to turn the peppers occasionally so that all sides get charred. Remove from the grill and let cool briefly. 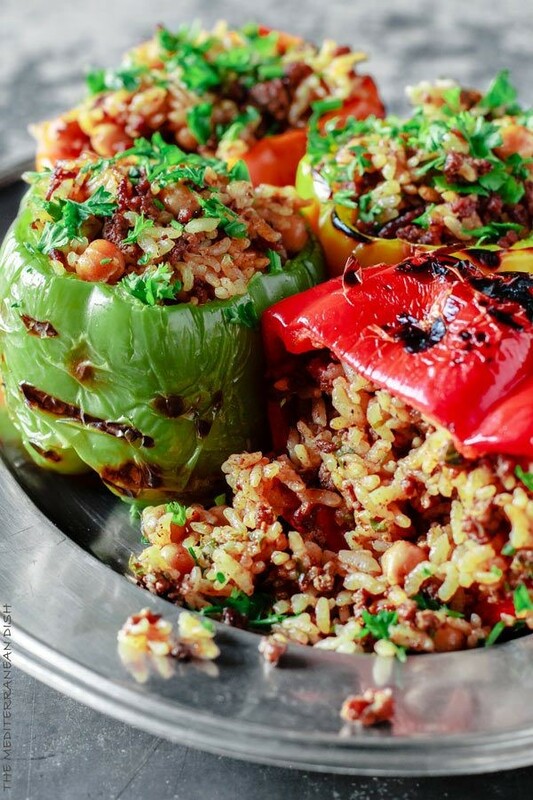 Assemble the bell peppers, open-side up, in a baking dish filled with ¾ cup broth or water. Spoon in the cooked rice mixture to stuff each of the peppers to the very top. Cover the baking dish tightly with foil and place it in the 350 degree F heated oven. Bake for 20-30 minutes. Remove from the oven and garnish with parsley, if you like. Serve immediately with your favorite salad and a side of Greek yogurt. Love loaded potato skins? 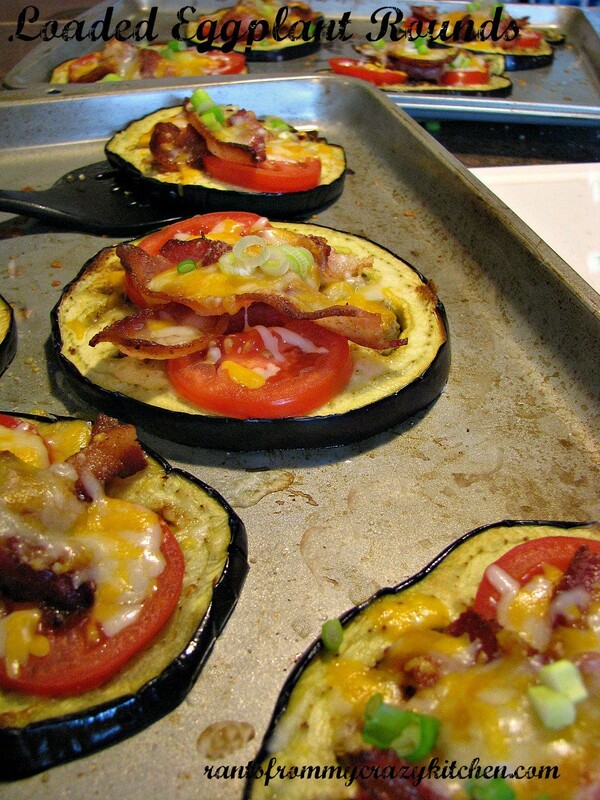 Enjoy all that cheesy bacon flavor on top of these nutritious and delicious eggplant rounds! 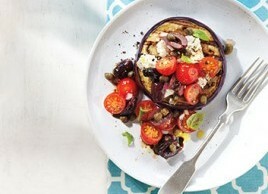 Slice eggplant into round discs, about ¼ – ½ inch thick (thinner rounds will get crispier). Place the eggplant rounds on a baking sheet, spray both sides of each with a light coating of olive oil spray, and sprinkle with small amount of garlic salt. Place the rounds in the oven and bake for 25-30 minutes, until rounds are getting brown and crispy. Remove the baking sheet from the oven. Top each round with the shredded cheese and the bacon crumbles. Return the baking sheet to the over for 5-10 minutes, until the cheese is melted. Sprinkle the scallions over the rounds and serve. These could also be served as an appetizer for your next party! I will be sending out newsletters throughout the winter when there are interesting things happening here at Kate’s Garden and Scents of Balance. I know that some of you don’t really read my musings, so if you would prefer to not receive them, please let me know and I will remove you from my list. I will, however, contact you next year when I determine the structure of the 2016 (Yikes!) CSA. I have enjoyed visiting with you all during this veggie season and would love for you to stay in touch. I wish you well! The gardens are really slowing down now, with the cooler nights and shorter days. The leaves are falling and some of the trees are already bare while others are slow to let go of their fall clothes! As I walk around the yard there is a crunch where there once was soft grass. I guess it is time for one last mowing and then the raking that will go on for several more weeks. That wind last Sunday did some damage here. Three sections of my cedar fence went down. The 4X4 cedar posts snapped off at the ground. John Pugrud, my savior, will be coming to fix everything this week. I don’t know what I would do without him. Thank you, John! Some of the wire fence for the tomatoes also blew down. The tomatoes are so heavy right now, but I am not going to worry, as I will be harvesting them all soon, depending on whether it freezes of not. My friends Steven and Robin Earles are also bringing me lots of leaves and grass clippings that I will be spreading over my gardens getting them ready for bed. Thank you Robin and Steve! The garden and I love you! I am also bringing in manure. A light tilling will then be done and the garden will be ready for winter sleep. Rest and rejuvenation are important….for me too! This is the final pick up for the following subscribers. Virginia Bryan, John Pugrud, Charis Cravens, Sonya Whiteley, Lindsey James, Paula Larsen, Vanessa McNeill, Merita Murdock, Kat Pakora, Alicia Pettys, Kerry Sandelin, Sue Tanner, Carol Wardell, Jordan Westerholm, Nancy Wilkin, Mike Williams. These remaining subscribers will pick up their last share on October 22nd. Susan Baak, Jessie Browning, Annika Charter Williams, Steve Charter, David Duke, Pamela Gustafson, James Haney, Halcyon LaPoint, Paula & Tom Larsen, Vanessa McNeill, Nanette Kuhl. I am not quite sure what the selection will be in your share this week, but for sure there will be winter squash, eggplant, bell peppers, leaf lettuce, swiss chard, dry onions, broccoli side shoots, red cabbage, tomatoes and cucumbers. With a possible frost and even a freeze looming just around the corner, I will be trying to time the harvest getting the more tender veggies out of the garden first. It is really dry out there and things are still growing, so I had to water with city water this week as the water in the canal is too low to pump anymore. The county empties the canal on the 15th of October. With the crisp fall temperatures, its time to start thinking about those meals that feed the body and spirit….I like to call them “Soul Foods”. Serves four as a side dish. You can make this gratin with your choice of spinach, Swiss chard, kale, or broccoli raab. You’ll need to boil the greens first, following the instructions below. You can also substitute any hard cheese for the Parmigiano. To get the 2 cups of cooked greens you need for the gratin, be sure to start out with the amount of raw greens specified below. Cut off and discard the tough stems (use a small, sharp paring knife and trim around the stem). Bring a large pot of lightly salted water to a boil, submerge all the greens, and cook just until tender (see cooking times below). Drain well and then spread on a towel to absorb excess moisture. If the greens still seem very wet, squeeze them gently to remove excess liquid. Start with 1 lb. mature spinach, stems removed and leaves roughly chopped to yield about 7 cups tightly packed (or 12 oz. ); cook for 30 seconds, just until wilted. Start with a 1-lb. bunch broccoli raab, tough lower stems removed (almost half the bunch), as well as any discolored leaves, and the rest very roughly chopped to yield about 6 heaping cups; cook for 2 min. Start with 1-3/4 lb. chard, stems cut away and reserved for another use (slice, freeze, and add to your next vegetable soup) and leaves roughly chopped to yield about 9-1/2 cups (or 12 oz. ); cook for 1 min. Start with 1-1/4 pounds kale, tough stems trimmed away, leaves roughly chopped to yield 6 cups tightly packed; cook for 8 min. Heat the oven to 400°F. Have ready a shallow 4-cup ceramic gratin dish or casserole dish (any shape is fine as long as it’s shallow). Melt 1 Tbs. of the butter and toss it in a small bowl with the breadcrumbs and a pinch of kosher salt and a little ground pepper; set aside. In a medium saucepan, bring the cream and garlic to a boil over medium-high heat (watch that it doesn’t boil over), immediately lower the heat, and simmer vigorously until the cream reduces to about 3/4 cup, 4 to 8 min. (Don’t over-reduce.) Take the pan off the heat and remove and discard the garlic cloves. Let the cream cool slightly, stirring occasionally to keep a skin from forming. Season with 1/4 tsp. of salt and a few grinds of fresh pepper. Meanwhile, in a large nonstick skillet, cook the bacon or pancetta over medium heat until crisped and browned, about 7 minutes. Transfer to paper towels, and carefully pour off most of the excess fat in the skillet (but don’t wipe it clean). Return the skillet to medium heat. Add the remaining 1 Tbs. butter to the skillet and let it melt. Add the cooked greens, season with 1/4 tsp. salt if using bacon (omit the salt if using pancetta), and cook, stirring constantly, for 1 min. Transfer the greens to the gratin dish and spread them evenly. 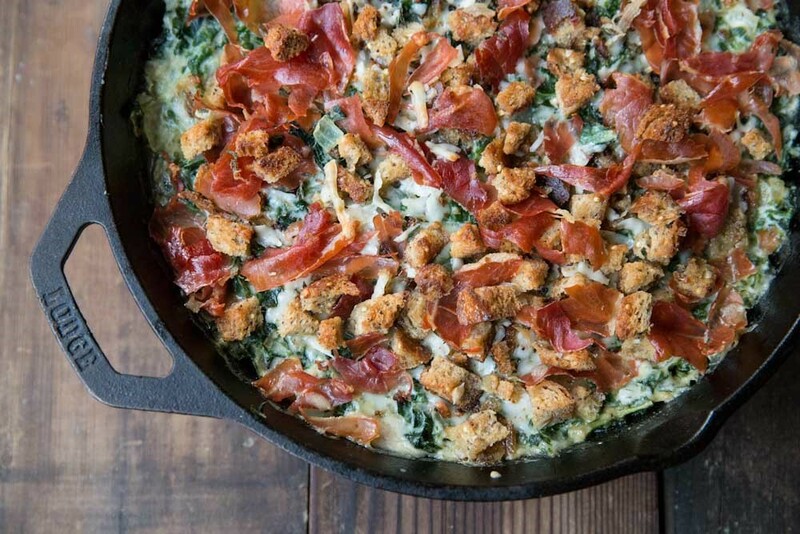 Crumble the bacon or pancetta over the greens. Sprinkle on the cheese. Pour the seasoned cream over all, and top with the buttered breadcrumbs. Bake until the gratin is brown and bubbly, about 25 min. Let rest for 10 to 15 min. before serving. For a change, serve these gratins individually. Just divide ingredients among four small gratin dishes and bake as directed above. Cook the bacon in a large, heavy pot or Dutch oven over medium-high heat, until browned and slightly crispy, about 5 minutes. Add the onions, salt, cayenne, black pepper, sugar, and bay leaves. Cook, stirring, until the onions are soft, about 5 minutes. Add the cabbage and stir to mix well. Cook, stirring, until the cabbage just begins to wilt or soften, 3 to 4 minutes. Reduce the heat to medium-low, and add the beer. Stir to mix. Cover and simmer, stirring occasionally, for 1 hour. Remove the bay leaves. Remove from the heat and serve warm. Refreshing and earthy, this recipe puts a Thai twist on winter squash soup. 1. Preheat the broiler. Spray a sheet of heavy foil with organic cooking spray and place the shallots on top. When the broiler is ready, broil the shallots, turning occasionally, for about 5 to 7 minutes, or until softened and blackened. Remove from the broiler, let cool, then peel and halve them lengthwise. 2. 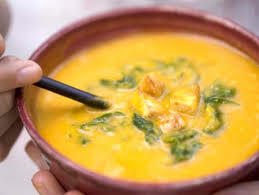 In a large pot over medium-high heat, combine the shallots, coconut milk, broth, squash, and the 1/w cup of cilantro. Cook just until the mixture begins to boil. Reduce the heat, add the salt, and simmer for about 10 minutes, or until the squash is tender. Stir in the fish sauce and cook for 2 to 3 minutes longer. 3. Garnish each serving with a sprinkling of the minced scallion greens and the chopped cilantro and season with pepper to taste. To make an edible soup bowl, cut a thin slice from the bottom of a small pumpkin or squash. Cut off the top and scoop out the insides, leaving at least 1/2″ of shell intact. The bowl may be cooked or served raw if it’s cooked, you can eat it when you’ve finished the soup! ***This is important! Be sure and let me know if you are coming to pick up your share. I know it might be confusing with this last pick up because of the half shares. It is confusing to me, too! Just give me a call, or send an email to confirm that you are coming, or if you have questions. It has been so enjoyable working out in the garden this week. The weather has been fantastic…not too hot, not to cold. I am keeping my fingers crossed that this will continue for the next couple of weeks so things have a chance to ripen up before the first hard frost. Looking good so far! I am trying to decide what I want to plant in the greenhouse for the winter. The restaurant sales continue to increase, but I only have so much room. I don’t know if I had mentioned to you that I have applied for a grant through NRDC for a high tunnel. I will know whether I am approved in early spring, which doesn’t help me for this season, but it will allow me to extend my growing later into the fall/winter next year, and even grow some winter greens when the cold weather hits. I would then be able to offer early CSA shares for Spring, and late shares for Fall. It will certainly be a learning experience, but I am really looking forward to being able to provide more food. We are coming to a close for this season. There will be one more week for those of you who have full shares and those who purchased half shares that started on week one. I am hoping that the weather stays nice which will allow those with half shares that started on week two to come on the 22nd, otherwise everyone will have to come on the 15th. I will let you know….it all depends on whether we get a freeze or not. There will be a plethora of veggies for your last share. All of the heavy veggies…winter squash, cabbage, root veggies and whatever else needs to be brought in. Anyway….there will be lots! 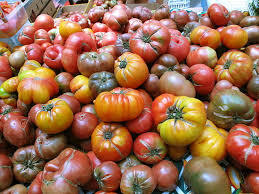 This week take advantage of the tomatoes as there will be boxes full. The herbs like basil are not liking the cold nights, so this weeks harvest is small and will be the last picking. I will have sage and parsley for you the last week….that way you will have some herbs for your holiday turkey. This week’s share will include, beautiful peppers, leaf lettuce, carrots, cucumbers, tomatoes, the last of the green beans, eggplant (finally! ), and Swiss chard. I am including some great recipes to use some of the produce in this week’s share. I hope you enjoy them. These thick slices of eggplant double as delicious grilled steaks. Combined with the tomato-caper salsa, this is a unique meal with bright flavors that are sure to please any pallet. Preheat grill or grill pan to medium heat. Slice the eggplant lengthwise into steaks and brush with olive oil. In a medium bowl, combine the tomatoes, olive oil, basil, shallots, capers and vinegar. Season with salt and pepper to taste. Grill the eggplant steaks for five minutes on each side; they should be fork tender with dark score marks. Arrange on a plate and top with tomato-caper salsa! I make lots of Ratatouille every year and freeze it! It’s a great way to use up all of those “last out of the garden” veggies. I use it in lots of ways…over pasta, added to soups, in omelets. You are only limited by your imagination! Wash and slice all of the vegetables. To peel the tomatoes drop them in boiling water for about 10 seconds and use a sharp paring knife to help slip off the peel. Heat 2 tablespoons olive oil in a skillet on medium heat. Add the sliced eggplant and cook, turning occasionally for five minutes. Sprinkle with salt and pepper and remove the eggplant from the skillet. Add 1 tablespoon olive oil to the skillet and add the zucchini slices. Cook for about five minutes, turning occasionally, then season with salt and pepper and remove from the skillet. Repeat the procedure for the bell peppers. Heat 2 more tablespoons olive oil in a Dutch oven on medium heat and add the onions. Cook, stirring occasionally, for five minutes. Add the tomatoes and the pre-cooked vegetables: eggplant, zucchini, and bell peppers. Stir to combine and then add the bay leaf and thyme. Cover and cook on low heat for 30 minutes. Add the garlic and salt and pepper if needed and cook covered for another 10 minutes. 1. Place a steamer basket in a large pot with 2″ of water. 2. Bring to a boil over high heat. 3. 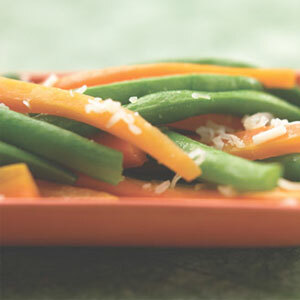 Place the carrots and green beans in the basket and steam for about 10 minutes, or until tender. 4. Drain and toss with the oil. 5. Place in a serving dish and sprinkle with the cheese. The weather these last few days has been absolutely incredible, hasn’t it? Such a difference from the 90 degrees we had last week. I know this will be coming to a screaming halt within the next couple of weeks, as fall is here. Did you get to watch the eclipse/blood moon on Sunday? The clouds parted just in time for me to see the full eclipse. It was beautiful and so very powerful. Last week I was fortunate enough be invited to attend the 100 mile dinner at “Ten” in the Northern Hotel. Tim, the executive chef, featured veggies grown here at Kate’s Garden, as well as beef from White Deer Ranch out of Fishtail, buffalo from Ted Turner’s ranch out of Livingston, coffee from Rock Creek Coffee Roasters, and a different beer was featured at each course (all 7 of them) from Uberbrew. The food was over the top and as we all sat at long tables there was much lively conversation going on. Such fun, and I was certainly honored and delighted to be included. Tim is really wanting to work with local producers, so I hope the community supports him in his endeavors. The nights have been quite chilly, which is prompting the tomatoes to ripen at an unbelievable pace. I have so many that I am over-run! There will be help yourself boxes full of gorgeous heirlooms, cherries and saladettes for you to take. The summer squash are done, but the cucumbers are still producing. Take advantage of the bounty, as when the season is over, you will have to purchase at the grocers again, and the quality, flavor and prices will not be the same. A word on the winter squash. Winter squash need a light frost to gain sweetness in it’s flavor. I do not harvest my squash until after we have that frost. There are certain other crops that do well in a colder environment, too. Broccoli, Cauliflower, Beets, Radish, Carrots, Lettuce, Spinach and the other greens can take a frost….just not a hard freeze. I an in a conundrum …I really don’t want it to frost, as it will kill everything else in the garden, but I think we are all a little tired of tomatoes and cucumbers, right? But the peppers and eggplants are just needing more heat and time to get bigger fruit and ripen and the winter squash need a frost! What to do??? I guess I will just have to let Mother Nature take care of it for me. Whatever happens, I am not in control. There are only two more share days after this week. Because the majority of you are half shares, we would need to run an extra week for those half share subscribers, but we will have to see what the weather is like that final week. I may have to have all of you, (both the full shares and the half shares) come on October 15th. I will let you all know how it will work out. This weeks share will include the last of the radishes, cauliflower, broccoli, braising greens, beets, swiss chard, cucumbers, tomatoes. I am including these tomato recipes so that you have some ideas for using them up. The soup freezes well. A gorgeous side or appetizer for any meal. 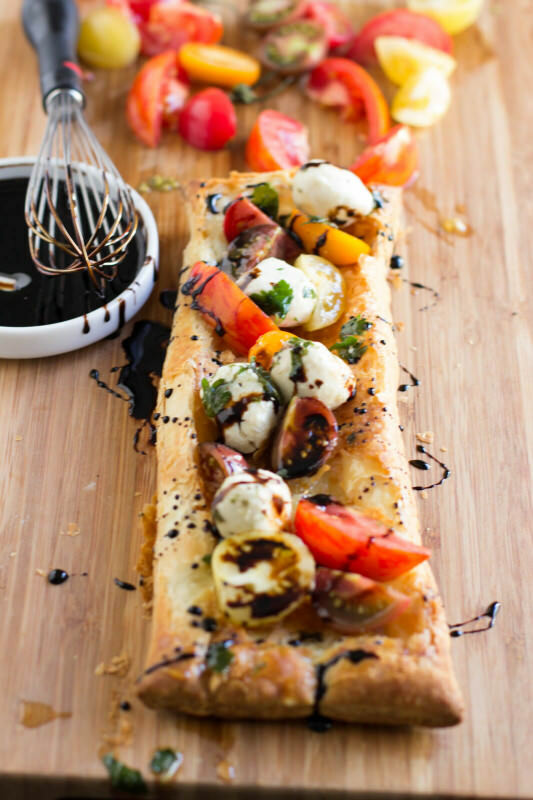 Heirloom tomatoes, marinated mozzarella and flaky puff pastry all drizzled with balsamic reduction. 1 package frozen puff pastry dough, defrosted and rolled out, then cut in 2. In a small sauce pan over medium high heat cook the balsamic vinegar until reduced by 1/2, about 3-5 minutes, remove from the heat and allow to thicken. Heat the oven to 400 degrees, and line a baking sheet with parchment paper. Using a sharp knife, carefully slice (not going all the way through the dough!) a border about 1/4-1/2″ around the dough. Bake for 12-15 minutes or until golden. Remove from the oven and lightly press down the middle to make it flat and even. Sprinkle with a little of the olive oil marinade from the mozzarella, mozzarella, chopped tomatoes, and drizzle with reduced balsamic vinegar. This one has big tomato flavor with smoky notes and hints of fragrant herbs. It’s exactly what you want to be eating as the first leaves of fall flutter by. Scoop the seeds out of the halved tomatoes with your finger. Tuck the garlic into the tomatoes, and lay them, and the onions, out on a rimmed baking sheet. Drizzle with olive oil, and turn everything to coat. Sprinkle with salt and pepper. 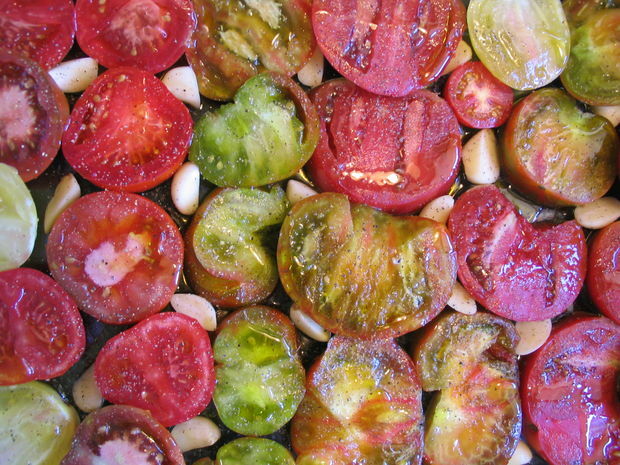 Roast the tomatoes for 30 – 40 minutes, until the tomatoes are bubbly and the edges are brown. Combine the broth, roasted tomatoes and onions in a large soup pot. Bring to a boil, turn down to medium-low, and simmer for 10 minutes. Add the herbs. Puree with an immersion blender or regular blender so that you maintain some of the texture. Add the balsamic, check salt and acid levels, and serve with an herb garnish and a piece of toast slathered with goat cheese. Cut tomatoes into 1/4 inch slices. Arrange on dehydrator trays. Sprinkle very lightly with salt and basil. Dry on vegetable setting for 8-12 hours, or until crispy. In a large bowl, combine all the ingredients for the salad. Mix together the ingredients for the dressing and poor over the salad. Refrigerate for about 30 minutes or more before serving. ~~~This is a gentle reminder to please let me know if you are not going to be able to pick up your share. Just call me and if I do not answer the phone, leave a message. There is hardly a week that goes by that I do not have shares that have not been picked up. I understand that sometimes things happen, but I can always leave your box out in front if you are going to be late, and if I know ahead of time, I can leave it in the front on Friday morning. Otherwise I have to find new homes for the shares. Thank you for your consideration. We have had an exciting, busy week here in the gardens. As I mentioned earlier, the garden is gaining interest from some of the local chefs, in particular the executive chef, Tim Freeman and sous chef, Tyler Ellis from “Ten” at The Northern Hotel. Tyler comes here every week, walks through the veggie rows, tastes and thoroughly enjoys being here. He takes product every week and I am so happy to be able to share the bounty with the restaurants customers. They are featuring a special “100 mile farm to table” dinner there next Tuesday evening the 22nd. All of the food will be local and I will be presenting during the event. Things have slowed down a little with the cooler weather, but it is supposed to warm up again this weekend. I have a plethora of small tomatoes that need to go, so if you are interested in them, I am selling them for $2 a pound. I am going to roast allot of them myself and then freeze them to make soups and sauces this winter. They don’t take up much room in the freezer and have such a great flavor, especially if you roast them with lots of olive oil and garlic. You can add some of your favorite herbs like rosemary, thyme, oregano and basil toward the end the the cooking cycle. The beans are producing again! So some of you will be getting the snap beans and some the Romano, as there weren’t enough of one kind. I have been creaming new potatoes with the Romano’s and they are so delicious, especially with a nice steak! You can use the snap beans the same way. Comfort food for a cool autumn night. In your box will also be a nice head of cabbage, some beautiful new greens for braising (frilly red mustard, mizuna, red pac choi, lacinato kale and spinach), small white onions, broccoli side shoots, cucumbers, zucchini and heirloom tomatoes. I don’t know about you, but I just love Asian Curries, any type, any color. My favorite, however is green curry. 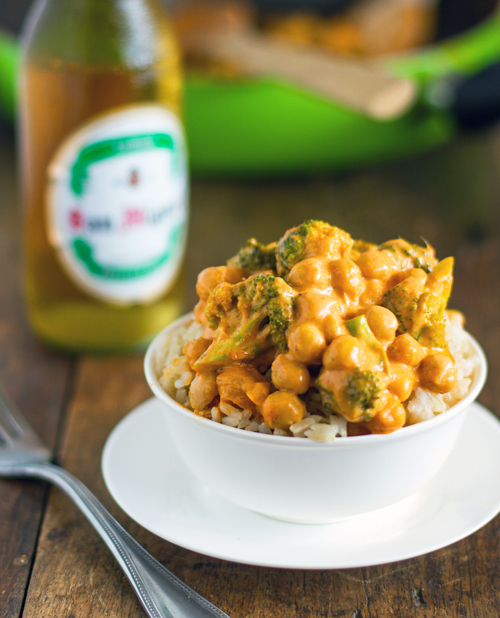 This recipe is a mix between Indian and Thai Curry. The broccoli side shoots would be perfect for this dish. Feel free to add additional veggies and if you want more protein some chicken would be nice. 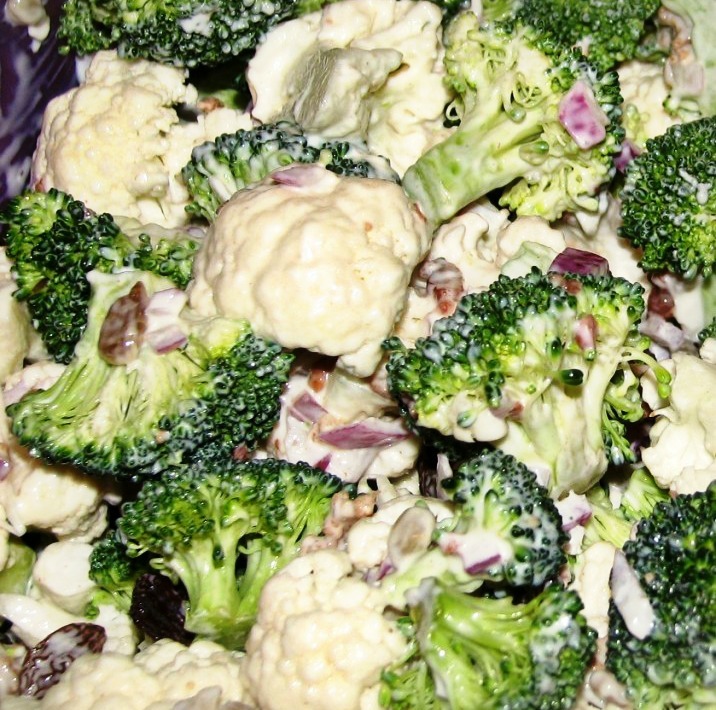 Saute broccoli (and onion/garlic if you’re using it) in a tablespoon of oil. After a few minutes, add the coconut milk and let simmer for 5-8 minutes. The broccoli should soften but still be tender-crisp. Add the curry paste to the pan and whisk it until it combines with the coconut milk. Add the chickpeas. Bring to a slight boil and add the cornstarch. Boil for about a minute, then reduce heat and let cool slightly. Sauce will thicken as the mixture cools. It feels like fall is here and soups are a great way to transition into the season. Since you have that nice big head of cabbage, why not make a batch of this soup. It freezes well, too. This wholesome sweet-and-sour soup combines beef, caraway seeds, sweet paprika and cabbage—ingredients that star in a number of German dishes. It is particularly nice served with crusty rye bread. For an even heartier soup, add diced cooked potatoes along with the cabbage. Heat oil in a Dutch oven over medium heat. Add beef, caraway seeds and thyme and cook, stirring and breaking up the beef with a spoon, until it is mostly browned, about 4 minutes. Stir in pepper-onion mix and apple; cook, stirring, for 2 to 3 minutes more. Stir in broth, tomatoes, honey and paprika and adjust the heat so the mixture boils gently. Cook for 8 to 10 minutes to blend the flavors. Stir in cabbage and cook just until barely tender, 3 to 4 minutes more. Season with vinegar to taste, salt and pepper. I would like to make sure that you are all receiving the newsletter and hope you are finding it enjoyable and useful. I have heard from several of you that you really like the recipes, but really haven’t heard anything from the majority of you. So give me some kind of an idea if I am on the right track. It does take a certain amount of time to organize my thoughts in order to write the newsletter and it is important to me that it is serving a purpose. Looking forward to seeing you all tomorrow. The garden has really been coming on strong. With the cooler nights, the plants are wanting to finish their growing cycle of production because they know fall is coming! What that means for us is that we are harvesting, harvesting, harvesting! Any special projects that we have planned, like weeding and preparing for winter are just having to wait. We can barely keep up! Cooler space is at a premium, too! That is why it is so important for everyone to get here to pick up your shares, as there is not enough room to store anything extra. We are hoping that the lettuces, spinach and other greens that we seeded a few weeks ago are liking this cooler weather. They seem is be up and growing well, which means that we can start harvesting some for you in another week or two. I don’t know about you, but I miss not being able to have a nice green salad during the heat of the summer. I love cabbage slaw, braised kale and chard, but lets face it….they are not the same as spring lettuce. I could live on salad! I have lots of tomatoes for you this week, so take advantage….recipe for a great roasted tomato pasta is listed below. The smaller early tomatoes are great for this recipe. As long as you are at it, make extra and freeze. Those tomatoes that are going to be in the markets during the long winter season taste like cardboard and are not fit for eating! The cauliflower has been picked over the course of the last week and a half. I wish it would all be ready at the same time, but unfortunately, that is not the case. Each head is different and not all are perfect. They are still good. When I find a little brown spot, I just scrape it off, or rub with a lemon. 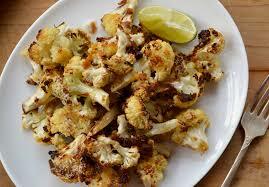 One of my favorite ways to cook it is to roast it, as cauliflower is kind of bland on its own. Roasting brings out the flavor and the addition of slivered garlic, a splash of balsamic vinegar and Parmesan or Romano cheese is over the top. I will have extra cucumbers out for you to take, too! They have been going crazy! Anything that is not used this week is going to the food bank, as I don’t have enough room to store them all. This weeks share will include the beloved zucchini, cucumbers, cauliflower, beets, bell pepper, tomatoes and herbs…Pineapple Sage to try in the recipe below. If I find anything else out there that that I have time to harvest, it will be added to your share. Enjoy this beautiful weather while you can and see you later today. If you can remember to bring back those clam shells that would be great. Tomatoes are hard to package,especially when they are picked ripe! Here are some great recipes for you to try. Cream butter and sugar until light and fluffy. Beat in honey. Add eggs one at a time, making sure to beat one minute after each addition. Beat in sage leaves, flowers and lemon peel. Stir dry ingredients together and add to butter mixture. Fold these together gently until just blended. Pour into 4 mini loaf pans (6”x3”x2”). Bake at 350oF for 45 minutes. Cool 10 minutes before removing from pan. Bring a large stock pot of water to a boil over medium heat, then add in the salt and the cauliflower. Cook for 3 to 4 minutes. Heat 2 tablespoons of olive oil in a large saute pan, and saute the garlic and red pepper flakes for 1 minute. Remove the cauliflower from water with a large strainer or spider and add it to the pan with the garlic-red pepper mixture. Saute briefly until starting to brown, about 3 to 4 minutes. Deglaze the pan with the chicken stock, add in the spinach, cover and let wilt for 2 minutes. Stir in the tomatoes and capers with juice and reduce the heat. Remove the cover and let simmer for 5 minutes. Return the cauliflower water to boil, adding more water, if necessary, to cook the pasta. Add the pasta add cook to al dente. Remove the pasta from the water and add it to the pan with the sauce, adding a little pasta water, if needed. Stir gently to combine, transfer to a serving bowl and sprinkle with half of the cheese. Garnish with the parsley and drizzle the remaining 2 tablespoons of olive oil. Serve immediately with remaining cheese on the side. This pesto is bursting with seasonal flavors and nutrients. Hello lycopene! It’s also quite low in oil thanks to the roasted tomatoes adding body and flavor. I left the almonds chopped and it added a nice texture that was great mixed into pasta or spread on a toasted sandwich. I suggest making some and freezing it for a later date. 1. Preheat oven to 400F and line a baking sheet with parchment. Place sliced tomatoes on the sheet and drizzle with oil, salt, and pepper. Roast for about 1 hour and 10 minutes s at 400F. Watch closely during the last 15 minutes of roasting. 2. Reduce oven heat to 325F and toast nuts for 8-10 minutes. Add 1/3 cup into food processor and process until finely chopped. I prefer mine a bit chunky for texture. Remove and set aside. 3. With processor turned on, add 2 garlic cloves and let it whirl around until finely chopped. Now add in the basil and process until finely chopped. 4. Add in the oil, optional nutritional yeast, and 1.5 cups of roasted tomatoes (you will have tomatoes left over). Process until smooth. Pulse in 1/3 cup toasted nuts. Season generously with salt and pepper. 5. Pour your desired amount of pesto over the cooked pasta and mix well. Chop the remaining roasted tomatoes and stir into pasta. Chop remaining nuts and chiffonade the basil. In a large mixing bowl, stir together the yogurt, half-and-half, cucumbers, red onion, scallions, salt, and pepper. Transfer the mixture in batches to the bowl of a food processor fitted with the steel blade. Process until the cucumbers are coarsely pureed and then pour into another bowl. Continue processing the soup until all of it is pureed. Fold in the dill, cover with plastic wrap, and refrigerate for at least 2 hours, until very cold. Just before serving, stir in the lemon juice. Serve chilled, garnished with the shrimp, lemon, and fresh dill. Serve this soup either hot or cold. until onion is translucent, about 15 minutes. Add 2 cups water, chopped garlic, 1 1/2 tablespoons fennel seeds and thyme sprig. Stir in 2 tablespoons crème fraîche and 2 tablespoons Pernod. Simmer soup uncovered 20 minutes. Remove thyme sprig from soup. Working in batches, purée soup in processor until smooth. (Can be prepared 1 day ahead. Cover and refrigerate.) Return to saucepan and rewarm over medium heat. Season to taste with salt and pepper. Ladle soup into bowls. Drizzle with olive oil and serve.